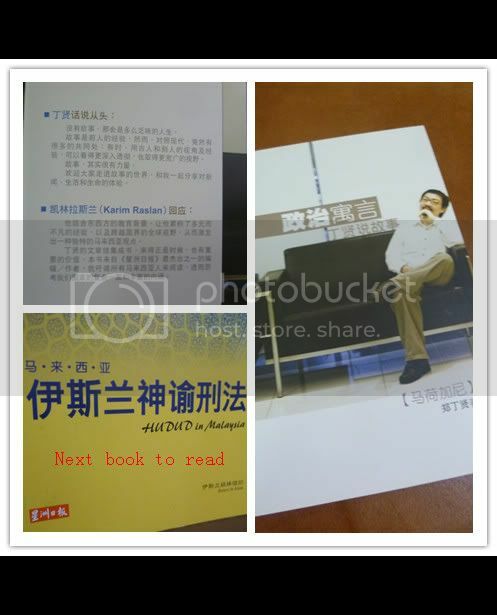 Yesterday i done reading this book, 政治寓言. I like the way writer talk about Malaysia politic, economic, environment, education and story. From his book,we read unique perspective, and start think something from different view. His writing is easy to understanding and digest as well, i always trap in the Midst when reading certain politician book because there are so many terms, peoples, and issues that i have no an idea at all. Next book i going to read is "Hudud in Malaysia", will be an interesting book right?